This year marks the 20th Anniversary of Paperblanks®, our brand of exquisitely crafted writing journals known and loved worldwide! 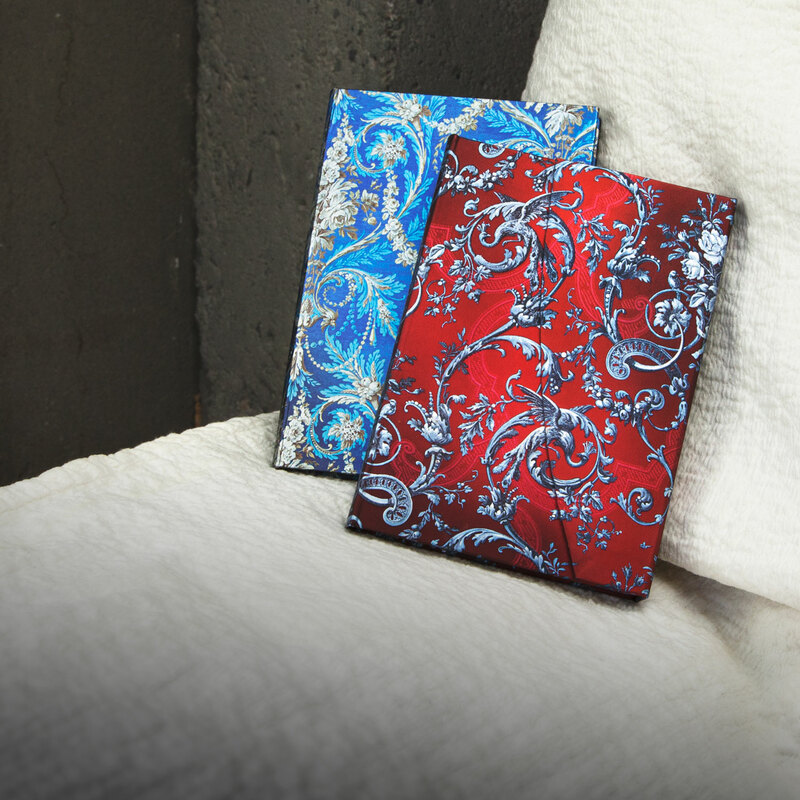 From the first collection released in 1992 to our newest designs, we’ve grown Paperblanks® from a simple list offering only a few titles to a full collection of nearly 40 different design series – each one distinctive. To celebrate this milestone, we will be running a series of activities and events from now until the end of the year. Fans can now read through a detailed history of Paperblanks through a series of milestones published on our Facebook page. From our 1992 beginnings to the present, readers can view a timeline of images showing our designs and innovations of the past 20 years. 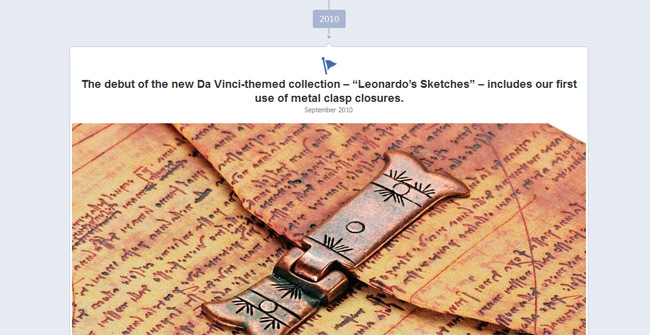 Jump over to the Paperblanks Facebook Timeline page to view it! In celebration of our 20th Anniversary, we’re hosting a one-time event at the New York Public Library Gift Store on May 18th! Visitors to the Library who purchase a Paperblanks journal will be able to have their books personalized by talented on-site calligraphers at no charge. In conjunction with this event, The Library Shop is celebrating our anniversary with a special window display showcasing the most popular journal designs from the past 20 years. In time for the 20th Anniversary, we’ve officially joined Pinterest, the online content-sharing platform. 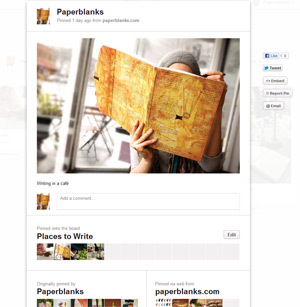 People are invited to view, re-pin and comment on our boards, which will feature photos sent in by Paperblanks-users, as well as beautiful imagery aimed to inspire creativity. View the official Paperblanks Pinterest page by jumping over to pinterest.com/paperblanks! This summer we will be holding a contest on our Facebook page themed around our beautiful cover designs. Fans will be asked to vote for their favourite designs from Paperblanks’ 20-year history for chance to win prizes. Watch this space for more details! Also this summer, we’ll be publishing 20th Anniversary-themed content on our website and blog. We’ll be spotlighting old designs and collections and writing about key milestones in Paperblanks’ 20-year history. And more to be announced in the months ahead! About Paperblanks: We have been producing superb writing journals for twenty years. We are book people, and we believe that the written word matters and that our blank books have a critical role to play in the art and continued practice of writing itself. 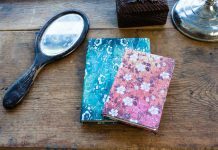 Inspired by the works of visionaries, rebels and artists across the ages, each Paperblanks design embodies a true story. 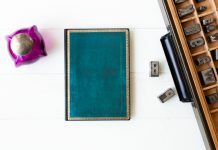 These designs – most of which take years to license and develop – draw a connection to global art and culture that people can see and feel in each and every book, coupled with old-world craftsmanship and the finest materials. 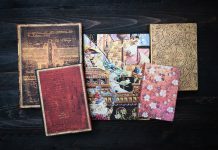 For more about Paperblanks, go to our website at paperblanks.com.